How do I join or leave an official group? What does it mean if the group chat room is full? A group owner or an administrator adds you as a group member. Find the group and open the group profile page. Select Owners from the filter drop-down. 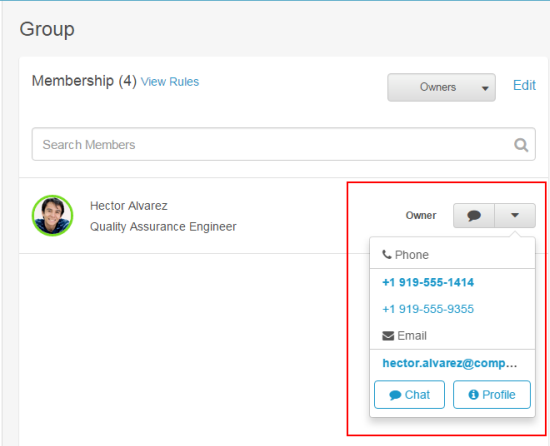 To request a change in group membership, select a contact option from the list.